This article enlightens you about the various types of risks involved in international business. I have written a couple of articles about the risks and solutions in international trade. However, this article explains in detail about the risks and solutions in import export business. Business always has risk. Right? 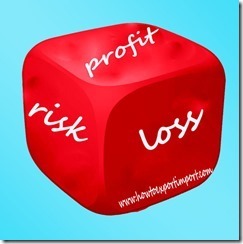 Risk is one of the hindrances under business. I believe, removal hindrances is success of business. Risk is one of the hindrances in Business. Are there risks involved in international trade? If yes what are they? How many types of risks involved in an international trade? 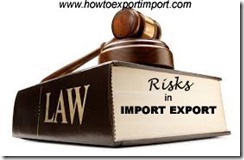 How to overcome each risk in import export trade? 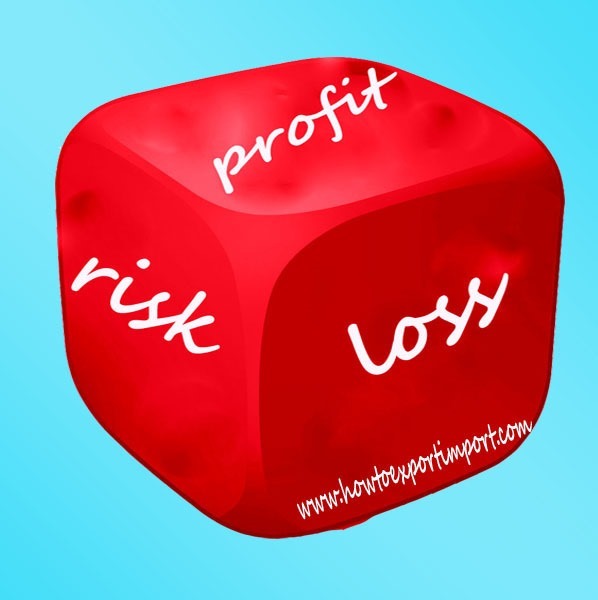 In this article, we are discussing about different categories of risks such as Commercial risks in export import, Political risks involved in international business, Risks arising out of foreign laws under import export business, Cargo risks in international trade, Credit risks under export import business and Foreign exchange fluctuations risks in international business. The following are the links of my articles explaining in detail about risks in International business. I hope, you will have a good knowledge about risks in export import trade after reading those articles. I hope, I could enlighten you on various risks involved in import export business with solutions. Have you satisfied with the articles about risks in import export business and how can those risks be solved? If you wish to add more information about those articles explaining about risks in international business and their solutions, you can also write below the space provided for it. Share your experience in handling international business risks and the way you have solved such risks in export import business. Ramesh: On 12 February 2015 We are planning to export Starch to Germany and Poland, There are import duty exemptions / concessions available for some European countries for export from India based on GSP Form ‘A’.Now I request you to advice is there any duty concession? jalaj tripathi : On 16 February 2015 Starting export business as proprietor or private limited ,which will be more beneficial to do.please reply as i m on my way to be exporter . I have done Graduation and post graduation in International Business as specialization .i request you to join my gang . Jaspal singh: On 18 April 2015 I am doing graduation .and i am 19 only should i start this business now or should start later ..please give me some advise i need a expert's advise ..
Abhishek: On 09 May 2015 Hello to All, I want to export Paneer, Milk and other Milk Products. I want to know about the required documents to export these type of products. Bhautik: On 04 January 2016 Hello sir, I am 19 years only. Should i start export business now. mohit: On 25 March 2016 Hello sir, I am gradute engineer. Should i start export business now.which type of risk in this business? yash pal bhola : On 21 April 2016 Dear sir we are importing coating and supply to controlled atmospheric cold storage people. Some customer saying Govt giving exemption for that what we have to do please suggest. M Rahman: On 10 August 2016 We are new launching import export firm based in maharashtra, our major concentration is on export to abroad in various commodities kindly provide me your contact details for further communication, your response can help us to make our vision wider. John Botha : On 10 August 2016 MY name is John Botha living in England and I just want to say thank you for this information/course you have made available. I am starting an import export business and have not found any help until i saw your course. I had no knowledge, so it has been a tremendous help to me in learning all about the industry, and I just wanted to let you know I appreciate all your hard work and dedication. Balraj Baptist : On 12 August 2016 My Name is Balraj from India (Basically mysore) settled in Mumbai and at present working in West Africa, I would like start import export Concern in India like home base business, My humble request can you help me how to set up business. Really I will appreciate your helping hand. devashish mehra : On 16 August 2016 I went through your website and i found it very interesting and useful. I am planning to start an import export bussiness so i want your guidance regarding that. Kindly show me. Manish Singh Parihar : On 17 August 2016 I have gone through on website and I am planning to start export import business. manoj sankhlecha : On 17 August 2016 I have done B.com and MBA in International trade. I saw your blog howtoexportimport.com. I want to learn import/export business under your guidance. Sriram Balaji : On 17 August 2016 I came across your website while browsing for information on how to start import & export business from Bangalore. I read through some of the information from your website and found to be very helpful. Further, I request your guidance on starting this business which I always dreamt of. Please let me know if you can mentor this dream of mine to succeed in this business upon which I will start working on the business plan based on your valuable input and feedback. Bhalchandra Pawar : On 12 June 2017 My self Bhalchandra Pawar looking forward to Export of pharmaceuticals/Medicines and chemicals. I have my own firm and having experience in international logistics and export management. i am in confusion how to start this business. Subbarao : On 15 July 2017 I am looking for expert advise on import and also export. I am planning to import copper scrap from England and sell in india. I want to know what is the requirement for clearing the container at Indian port for metal scrap copper wire scrap. I am also planning to reexport the imported copper wire scrap. I don't stock and sell. Entire container will go to my overseas customer. In this case can I get custom duty exemption. syed Aneesul Hasan: On 04 September 2017 i want expot tea powder from India. Further any other product from india. i have ied code liecence from Hyderaabad. Guide me to run the business to Saudi Arabia.